Application Encryption, you can encrypt specific files or columns in databases, big data nodes, and platform-as-a-service (PaaS) environments. The application encryption solution features a set of documented, standards-based APIs that can be used to perform cryptographic and key management operations. Application Encryption eliminates the time, complexity, and risk of developing and implementing an in-house encryption and key management solution. IBM Guardium for Application Encryption helps organizations establish centralized control of application-layer encryption and file system encryption. 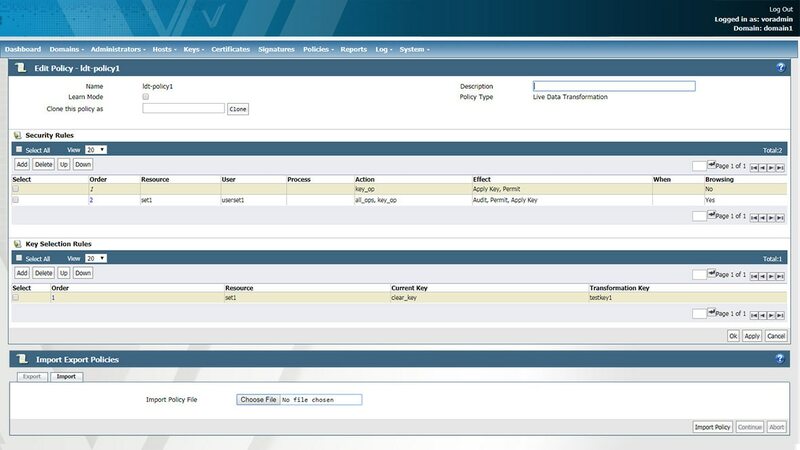 With this solution, all policy and key management is done through the Data Security Manager. Consequently, the solution simplifies the data security operations environment, reducing the number of management consoles that administrators have to learn and maintain. Enables developers to use NIST standard solutions for both Advanced Encryption Standard (AES) and format preserving encryption (FPE), which helps organizations implement encryption without changing the database schema. IBM Guardium for Application Encryption features a library that implements a subset of the PKCS#11 APIs. Customers can also take advantage of the Batch Data Transformation Utility as part of IBM Guardium for Applicatoin Encryption. Batch Data Transformation helps organizations encrypt large data sets without lengthy maintenance windows and downtime—and without changing applications, networking configurations, or storage architectures. With Guardium for Application Encryption, teams can incorporate encryption within the development cycle as they build solutions, providing customer assurance that their data will be secure regardless of industry. With Guardium for Application Encryption, encryption can be “baked in” to software products as they are created, for a consistent user experience and a more integrated development process, saving time and money for your customers. Guardium for Application Encryption requires a virtual data security module (DSM) virtual appliance depolyed on a VMWare hypervisor (ESXi Server 5.5 or higher). There are no specific system requirements as the SDK runs as a shared library as part of the customer’s application.